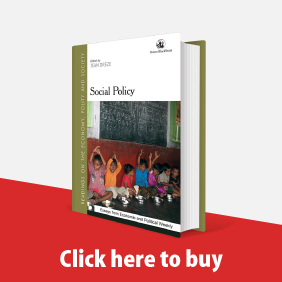 This essay traces the evolution of development finance institutions in India from conception and birth, soon after independence, through infancy to adulthood and maturity, followed by a winding down at the turn of the century and closure in the early 2000s. 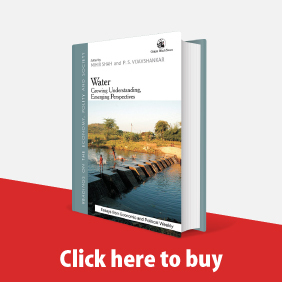 It highlights their macroeconomic significance, and their critical role in the financing of industrialisation from the 1970s to the 1990s, to analyse the factors underlying their decline. Their contribution to the provision of industrial finance was essential and innovative. Yet, there were serious errors of omission, such as exclusion of infrastructure, and absence of coordination with industrial policy. Instead of introducing correctives, the government shut down development banks, which was the most serious error of commission. These successes and failures carry lessons for other countries, just as India has as much to learn, about the continuing importance of finance for investment in manufacturing from countries that have done better at industrialisation. The retreat of the state and the advance of the market have changed the national context of higher education. The spread of markets is beginning to exercise a significant influence in this area. There are dangers inherent in such commercialisation, but there are also some opportunities of learning from markets. The gathering momentum of globalisation, which has changed the international context, is also beginning to reshape higher education. This too has important, positive and negative, implications for development. Countries should formulate policies for higher education in the pursuit of development, so as to minimise the dangers and capture the opportunities. Read more about Globalisation: What Does It Mean for Higher Education? The story of economic development in independent India is often distorted by beliefs in fashion or caricatures of perceptions which shape conventional wisdom. This is misleading, not only in analysing the past but also in contemplating the future. If we consider India during the 20th century as a whole, the turning point in economic growth was circa 1951. If we consider India since independence, the turning point in economic growth was circa 1980. And it is clear that the turning point in the early 1950s was much more significant than the structural break in the early 1980s. In the first phase of growth in post-independent India, from 1950 to 1980, India was not the lumbering elephant that it is often made out to be. In the second phase, from 1980 to 2005, India was not quite the running tiger that some believe it has become. 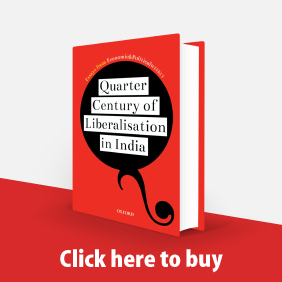 The real failure, throughout the second half of the 20th century, was India's inability to transform its growth into development, which would have brought about an improvement in the living conditions of ordinary people. Sanjaya Lall, the economist at Oxford, who died on June 18, was an outstanding researcher, teacher and intellectual. But, above all, he was a wonderful human being. ﻿Interaction of Economics and Politics in Independent India Introduction THERE is a vast literature on the theme of economic development in India over the past 50 years. The literature on the subject of political democracy in India since independence is just as extensive. Both are rich in terms of range and depth. But they constitute two different worlds, divided into the disciplines of economics and political science. The intersections are few and far between. This essay makes a modest attempt to reflect on the interconnections. 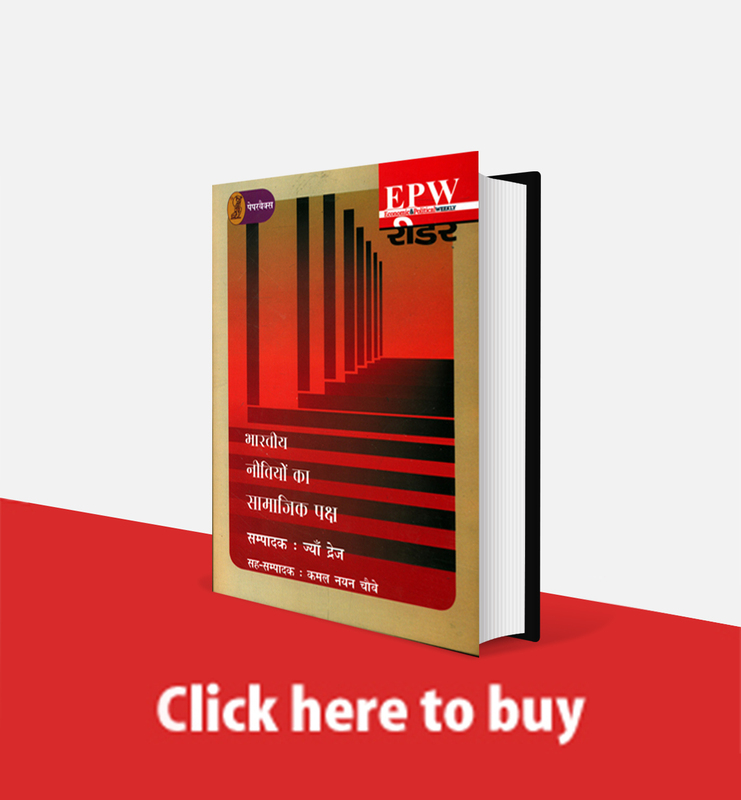 It situates the process of economic development in the wider context of political democracy to explore the interaction between economics and politics in independent India. Section II sets out an analytical framework. It explains why markets and democracy provide no magic wand, to suggest that the real issue is the tension between the economics of markets and the politics of democracy. The problem, it argues, is compounded because markets exclude people, particularly the poor. The paper then divides the five decades into three phases, Any such periodisation is obviously arbitrary but it serves an analytical purpose. 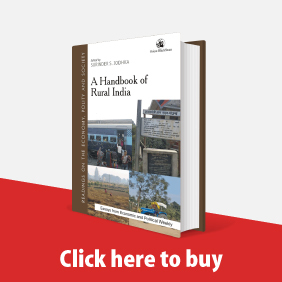 Section III examines the first phase, 1947-66, in which the strategy of development was shaped by a political consensus and characterised by a long-term perspective. The spirit of nationalism meant that there was less need to manage conflict, but there was a conscious effort to accommodate the poor even if it was long on words and short on substance. Section IV analyses the second phase, 1967-90, which witnessed a qualitative change in the interaction of economics and politics. Economic policies and economic development were strongly influenced by the compulsions of political democracy. Those with a political voice made economic claims on the state. But the process of mediation and reconciliation had long-term economic and political consequences. Section V discusses the third phase, 1991-97, characterised by an absence of consensus and a presence of short-termism, in which the economics of liberalisation and the politics of empowerment seem to be moving the economy and the polity in opposite directions. The need for conflict resolution is greater than ever before. But the task has become more difficult And, strangely enough, the effort is much less. ﻿This paper analyses the impact on Indian agriculture of trade policy reform in India and multilateral trade liberalisation internationally. The rationale and structure of India 's trade policy regime for agriculture over the last three decades are outlined to highlight the fundamental departures implicit in the recent trade policy reform This is followed by discussion of the significance of the agricultural sector in India's economy and foreign trade on the one hand and the importance of Indian agriculture in world output and trade on the other and comparison of domestic and world prices for selected agricultural products. ﻿Indian Economy at the Crossroads Illusions and Realities Deepak Nayyar The object of this essay is to consider the macro-economics of stabilisation, adjustment and reform, so as to provide an assessment of the problems and the prospects of the Indian economy at the present conjuncture. The structure of the discussion in the paper is as follows. First, it considers the origins, the dimensions and the implications of the crisis in the economy. Second, it outlines the strategy of macro-economic stabilisation and structural reform adopted by the government in terms of its rationale. Third, it analyses the problems of adjustment and transition. Fourth, it examines the evidence on stabilisation, with a focus on the short term, to consider inflation and the balance of payments. Fifth, it explores the medium-term consequences of fiscal adjustment and structural reform for output and employment. Sixth, it highlights and evaluates the assumptions implicit in the strategy adopted by the government. Seventh, it draws together some conclusions that emerge in an attempt to outline the contours of an alternative view.